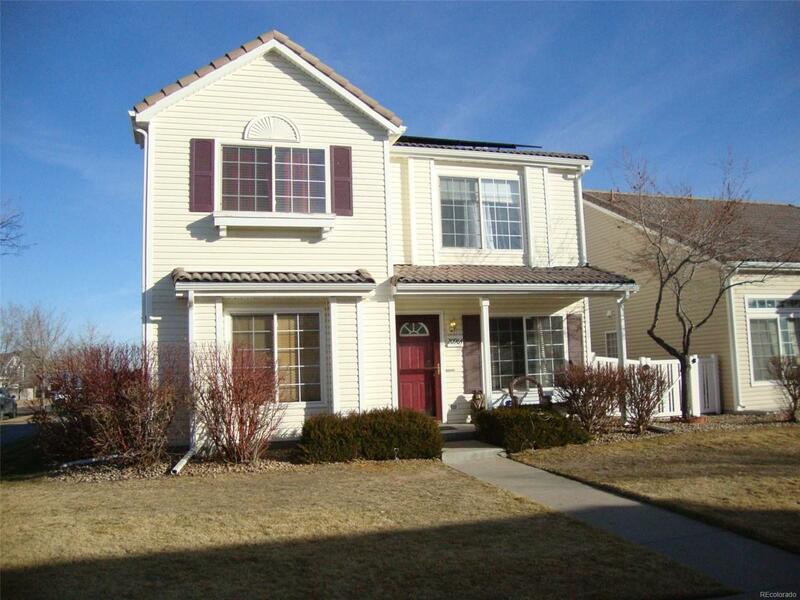 All 4 bedrooms on the upper level, with master bath, and a huge walk-in closet. A full bath services the remaining 3 bedrooms, all good sized. Large windows lets in lots of sunshine. There is a desk in the loft area for homework and studies. The main floor has a large living room with a two sided gas fireplace, to be enjoyed by the open dining area. Twin sliding doors bracket the kitchen, complete with all the kitchen appliances. There is plenty of room in the kitchen for the family table for those everyday meals. Main floor laundry room/mud room off the two car attached garage, and a half bath round out the main floor. A nice long deck is accessed by the twin sliding doors for easy entertaining! Solar system is two years old and must be assumed by Purchaser, DIVIDEND SOLAR, with low monthly payments of $113.38. This keeps the house toasty warm in the winter and cool in the summer and keeps your utility bills LOW!!! Nicely maintained.